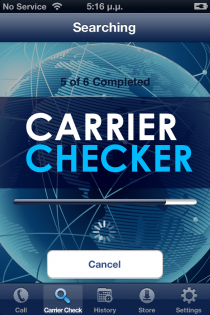 Carrier Checker. Know before you call. Free Get Contact Carrier Information & Start Saving. FIND OUT THE CARRIER OF YOUR CONTACTS AND START SAVING ON YOUR PHONE BILL. 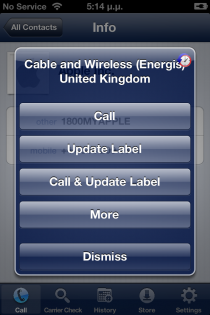 Using the same interface as your phone app you can now see the carrier of the number you are about to call. You can then decide if you want to call them and how long you are going to speak. 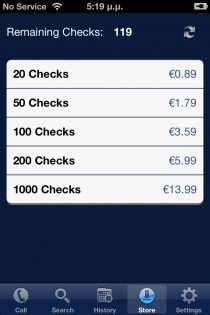 We try to get each check price as low as possible and we offer packages of 20 to 1000 checks. 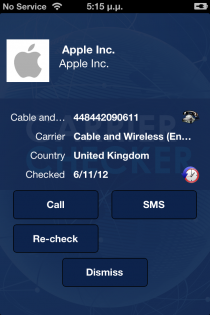 Carrier checker can with the touch of a button update the contact label on your iPhone (work, mobile, iPhone, etc) to match the carrier name (Vodafone, WIND, 3, Orange, etc.). 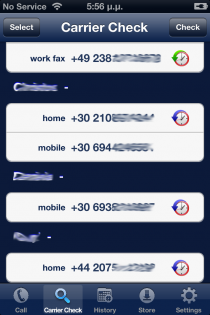 This way you can easily see the carrier of your contact even from the native contacts or phone application. 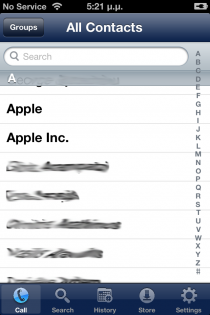 Carrier check results are stored to your iPhone and you select how long you want to keep them. This way you are only being charged once for each number. 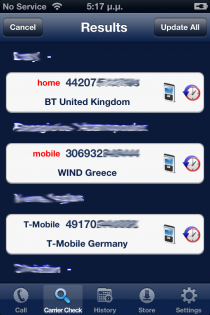 We know instantly when a phone number is ported to a new carrier! 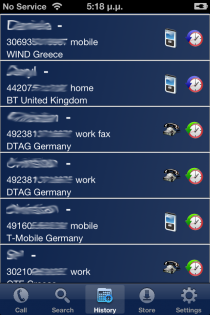 Carrier checker uses live information. We cover 200+ countries, including USA and all European Ccuntries. Internet connection is required for new carrier checks. 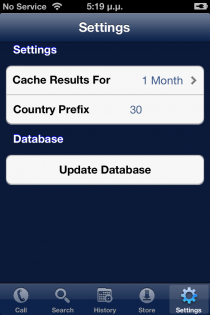 Old cache results are provided even if no network is present.